If you’re looking for a garage to Service, MOT or repair your Audi you’ve come to the right place. Our fully trained mechanics have over 20 years on working with all models of Audi’s, whether its an Audi A1, A2, A3, A4, A5, A6, A7, A8, Q3, Q5, Q7, TT, R8, RS or classics models such as the Audi 80 or Quattro. We pride ourselves on offering a fantastic service to all Audi owners – at a fraction of the dealer price! If you would like to find out more about our repairs – click here. If you would like to find out more about the servicing we offer – Full Servicing – Interim Servicing. If you would like to find out more about our MOT – click here. 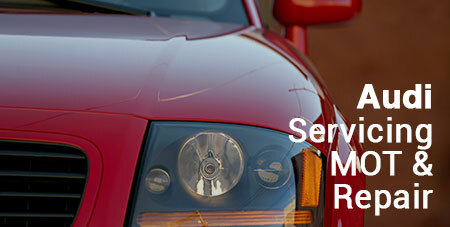 We’re confident that you’ll love the treatment your Audi gets from us, no job is too big or small for our mechanics. If you’re having trouble, hearing noises or seeing smoke – Call us today to book in on 01302 367614 or email us at leesautosltd@hotmail.com. We’re only 2 minutes walk from Doncaster Town Centre, too. The founder of Audi, August Horch originally wanted to call the motor business August Horch Automobilwerke but due to legal reasons, he couldn’t. “Horch” in german means “Hear” which translates into Latin as “Audi”. The four rings emblem symbolises the amalgamation of Audi with DKW, Horch and Wanderer. Its similarity to the Olympic rings caused the International Olympic Committee to sue Audi in International Trademark Court in 1995. the IOC lost this case and the four rings logo is still used.